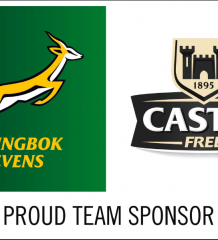 The Springbok Sevens are very aware of the threat posed by their three pool opponents for this weekend’s Las Vegas Sevens, which kicks off early on Saturday morning (SA time). The South Africans will be looking to bounce back to winning ways after coming unstuck in their last two knock-out matches at the Sydney Sevens in Australia, where they finished in fourth place despite injuries to several squad members. 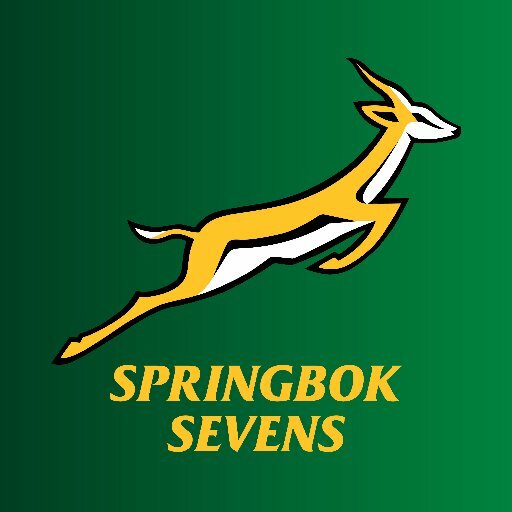 Las Vegas has been a happy hunting ground for the Springbok Sevens recently, with the team winning the USA title no fewer than three times in the past five years. However, for this edition, the Springbok Sevens find themselves in a tough pool consisting of hosts, USA, the strong and physical Canada and tenacious Wales. The first two teams on the log qualify for the Cup quarter-finals after the teams have played three round-robin matches. South Africa currently share a three-way tie at top of the HSBC World Rugby Sevens Series standings with Fiji and New Zealand, all of whom are on 69 points after four tournaments. For their Las Vegas mission, the South Africans have been boosted by the return of several fit-again stalwarts. Skipper Kyle Brown, record SA points’ scorer Cecil Afrika, Branco du Preez and Justin Geduld have all recovered from their respective niggles and are set to return to action at the popular USA event. 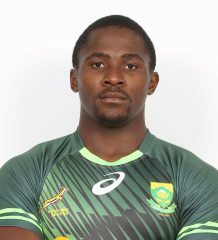 Du Preez last played for the Springboks Sevens at the London Sevens in May last year, while Brown and Africa last saw action in Cape Town in December. Springbok World Cup winner Bryan Habana and Bok team-mate Ryan Kankowski are also part of a 13-man squad for the two North American tournaments. The inaugural Vancouver Sevens takes place next weekend, on 13 and 14 March. Apart from the strong North American threat in the pool stages, Neil Powell, the Springbok Sevens coach, added that attention to discipline will be a key focus area for them in Las Vegas. “Intensity and discipline are two of the areas that we basically had a look at and said it is important, especially in the knockout stages. It cost us some tournaments and some games in the past,” said Powell. Returning skipper Brown, who was last in action at the HSBC Cape Town Sevens, said it was a wonderful feeling to be back in the mix. “A couple of weeks ago the guys were in Wellington and Sydney and they played some unbelievable rugby,” said Brown. “It’s such a privilege to be part of this team again and hopefully we will be able to maintain the momentum here in Vegas. “The USA will be bursting with pride playing at home in front of their own fans. They always make it something special when they play here, with fighter jets flying over and then adding the emotion of their anthem. As a player, it’s nice to be part of such a fixture and you know that as a team you will have to be incredibly strong and focussed,” explained Brown. The Las Vegas action kicks off on Saturday morning (SA time), with the Springbok Sevens facing Canada at 02h35, followed by Wales at 05h58. They play their last group match, against the USA, at 00h35 on Sunday morning, with the quarter-final matches to follow thereafter. South African Seabelo Senatla is again leading the race for top try scoring honours – he has scored 25 tries in four tournaments so far. The speedster is followed by Savenaca Rawaca (Fiji, 22) and Samoa Toloa (Samoa, 19). Rawaca has made the most line breaks (30) and he is closely followed by Senatla (28) and Toloa (22). South African forward Chris Dry has carried out 71 tackles, easily making him the leading player in this category. Frenchman Steeve Barry (63) and Fijian Vatemo Ravouvou (58) complete the top three in this section.